Home / Blog / “Went the Day Well?” D-Day, Tuesday 6th June, 1944. 2014 marks the 70th anniversary of “Operation Overlord” – the battle for Normandy, France, and the liberation of Europe from the Nazi occupation. All over Europe, in the towns and villages of England, Canada and America, old veterans and their families will mark the most successful and complex campaign in modern history. The invasion of mainland Europe was planned in two stages. Firstly, a massive air assault across the channel by the British, Canadian and American fighter-bombers began at 00.16 hours on 6th June. Glider and paratroopers seized the eastern flank of the Normandy landing beaches. This was followed by amphibious landings of allied infantry and armoured divisions in rough seas along some 50 miles of coastline. These landings achieved total surprise thanks to months of meticulous planning, the bad weather and elaborate, hugely successful deceits that included the construction of a false army and misinformation by captured German agents under the control of MI5, relayed to the Germans to encourage Hitler to believe the invasion would be at Pas-de-Calais, not Normandy. The allies also had the benefit of exceptional commanders in the American, Eisenhower, and Montgomery, who had already proven himself in his victories at El Alamein and Sicily, against some of the best German armies. And as such, Montgomery was given overall command of the operation. The number of troops thrown into battle that day illustrates the logistical complexity of the whole operation. In all, over 2 million British, American, Polish, Canadian and Free-French troops were deployed. Over 80,000 British and Canadian soldiers took part in the immediate landings. 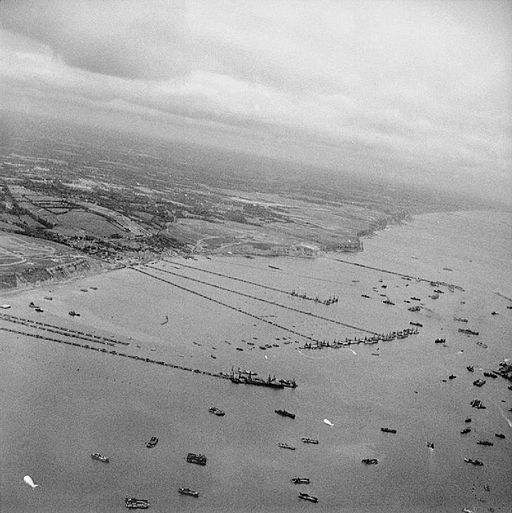 Over 7,000 ships and 11,000 aircraft supported the coastal invasion. German troops defending the beaches, and later, stubbornly in the hedge-lined sunken roads and ditches of the countryside, cursed the absence of air cover. Nor must the contribution of the French Resistance Movement (including Communists, Catholics and De Gaullists) be forgotten. The pre-invasion intelligence sent by wireless operatives from all over France and Belgium was crucial. Most lost their lives doing this work. Once the invasion was underway, saboteurs of the French Resistance disrupted the rail links to the battle zones and delayed the arrival of Panzer tank divisions from the south of France to Normandy. Generally our intelligence of the enemies’ disposition and operations were far and away superior to comparable German intelligence, also thanks to the brilliant work of Bletchley Park. Truly, D-Day was our finest hour.